A de Polignac number is an odd number that cannot be expressed as , for prime. The name comes from the fact that de Polignac erroneously conjectured that every odd number can be expressed in that way. Erdös proved that there are infinite such numbers, for example all the numbers of the form 1260327937 + 2863311360⋅k. 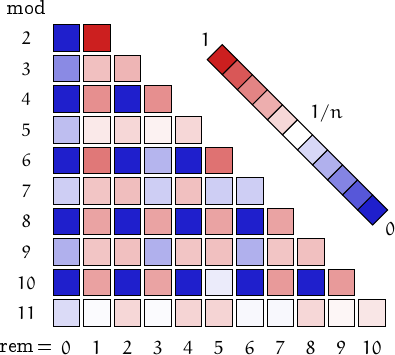 The smallest composite number in this class is 905, while the first square is 40401. 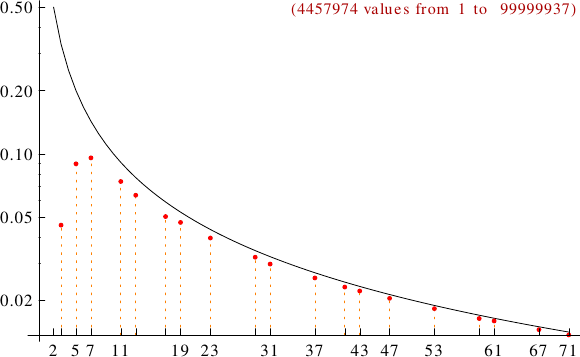 A graph displaying how many de Polignac numbers are multiples of the primes p from 2 to 71. In black the ideal line 1/p.